Spending the day at the beautiful wineries and breweries of Norfolk County, I got to try some of the most delicious drinks and tasty snacks you can find in Ontario&apos;s Southwest. Our first stop at Ramblin’ Road Brewery Farm, the first brew farm in Ontario and the second in Canada, was full of delicious craft beer and salty, succulent snacks. 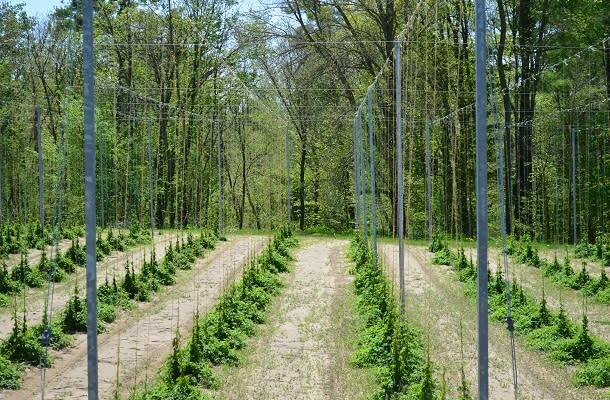 As a brew farm, their beer is distinctly unique because nearly everything is grown on site. From growing their own hops to drawing pure spring water from their prosperous land, we were able to rest assured knowing exactly where every ingredient in the beer was coming from. Before becoming a brew farm, Ramblin’ Road first began making snacks, mainly focusing on growing peanuts. But after being in the snack business for a while, they realized that they had a vast amount of extra land, so they began growing hops. Luckily for us, they still make their deliciously addictive treats; after trying just one mouthful of their tasty finger foods, we couldn’t put down the crunchy, yet sweet beer nuts or their flaky, flavourful chips. 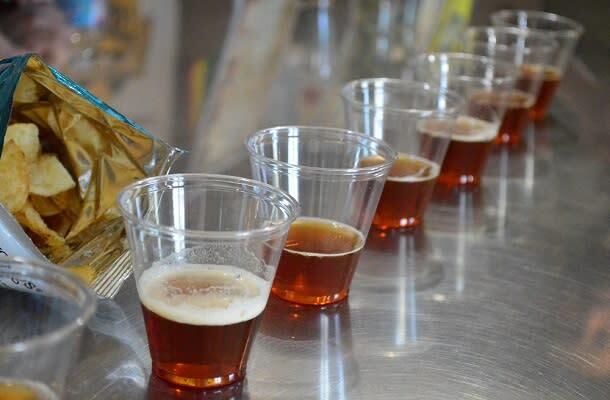 With great food and free tours and tastings, there’s no reason not to make your way over to La Salette, Ontario to check it out. Next, we traveled to the New Limburg Brewery, an old school that the Geven family turned into a microbrewery. 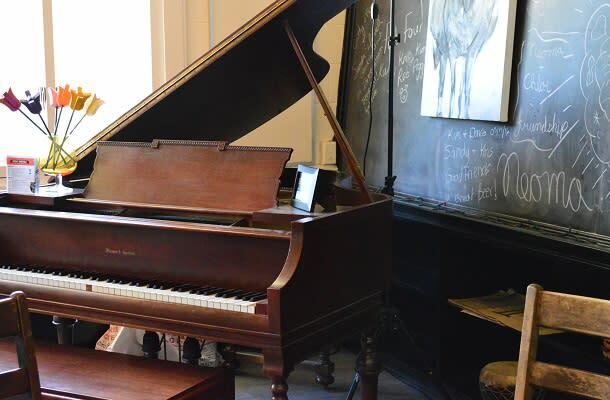 The environment is both modern and minimalist with a black and white décor and wooden accents, but each room has traces of the school that shut down before it became a brewery. With messages from past students and teachers, a unique take on traditional wooden desks and chairs, and board games like Monopoly scattered around for customer use, New Limburg is more than just a school-turned-microbrewery – it’s an experience. The family run brewery began after Mischa began brewing beer as a hobby, when he asked his father to join him in doing it commercially. 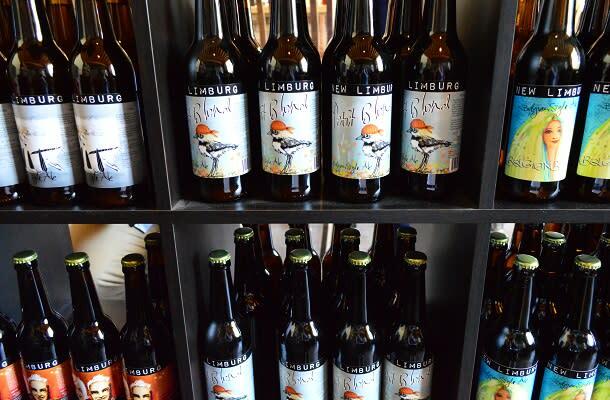 New Limburg has received a very positive response, gaining fifteen licensees after being open for just eight months. Their beer is distinctive in Southwestern Ontario, as they serve Belgian style beer, which means that instead of filtering it, they add sugar. This then carbonates the beer and makes it a higher alcohol percentage while giving it a fruitier, spicier taste. In fact, you can even hear the beer in the cellar bubbling from the hallway and echoing throughout the school corridors. We then made our way to Apple Hill Lavender Farm, a century old, third generation farm growing fresh apples; English lavender, which has a sweeter, floral aroma with a hint of citrus; and French lavender, which has a camphor scent and takes on smoky hints. 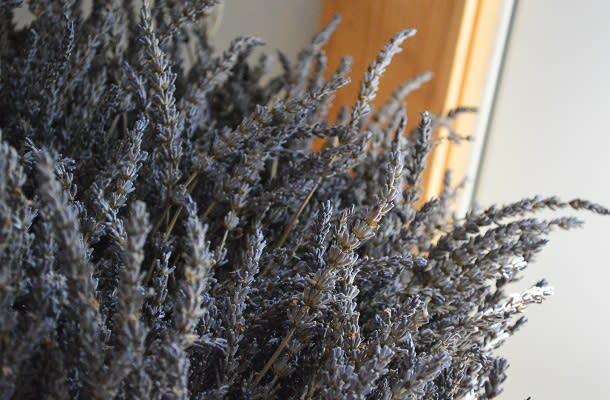 As we walked through the rustic wooden doors, we were welcomed by dozens of different lavender infused items. From cheese blends to lavender pepper, Apple Hill has thought of everything. Mother and daughter, Jan and Melissa Schooley, both sport purple in their hair, letting their love of lavender shine through every aspect of their lives. From just a few words with Jan, her passion for the purple flower left us inspired as we explored the different spices and scents scattered around the room. 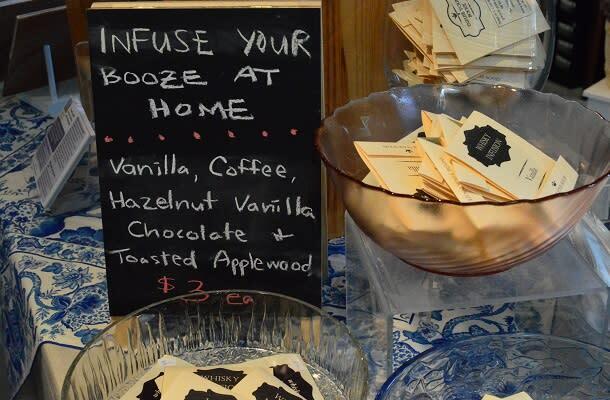 Apple Hill also sells some of Melissa’s products, including Infuse Your Booze whiskey infusers that you can steep in your favourite type of alcohol to flavour it, and her carefully crafted pottery that has been shown in galleries as far away as Tokyo. Including her time studying at Emily Carr University of Art + Design in Vancouver, Melissa has spent over 10,000 hours at the pottery wheel, and in the summer she works in store, giving demos to any customer who walks in. Since lavender has been named the flavour of 2016, our last stop was at Bonnieheath Estate Lavender and Winery, which has a “sun ray garden” consisting of rows of different coloured lavender radiating out from the centre point, a gazebo. 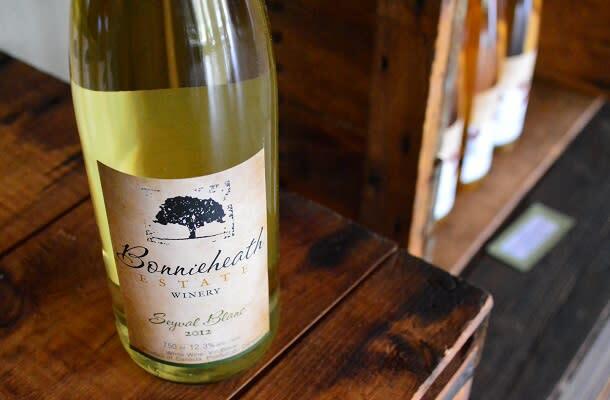 Before becoming a lavender farm and winery, Bonnieheath was growing tobacco until 2008, as in 2009 there was a total elimination of tobacco quota, which forced them to end their tobacco production. But that didn’t stop owners Steve and Anita Buehner, who decided to order and plant grapevines, completing their first harvest in 2012. Since they’ve only been in the wine business for four years now, Steve and Anita are constantly looking to grow and see what more they can do to revolutionize the wine and lavender industry in Norfolk County. Bonnieheath is also very passionate about the environment, and runs several environmental initiatives to combat the current level of greenhouse gases. For example, the lowest spot of the farm is excavated to make a wetland for wildlife, which is frequently used as an educational tool for elementary school students in the area. Some other initiatives include recreating prairie patches, creating a snake resting box, and soon they will be getting bees to pollinate the flowers on their land. 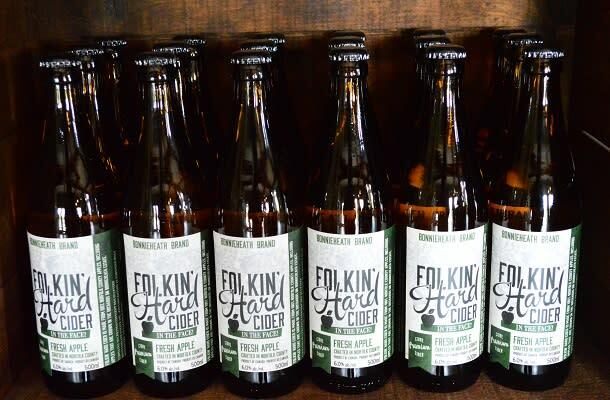 Aside from all of these initiatives, Bonnieheath also creates several award winning ciders, which they call Folkin’ Hard Cider, from the apples they harvest from their apple orchard. 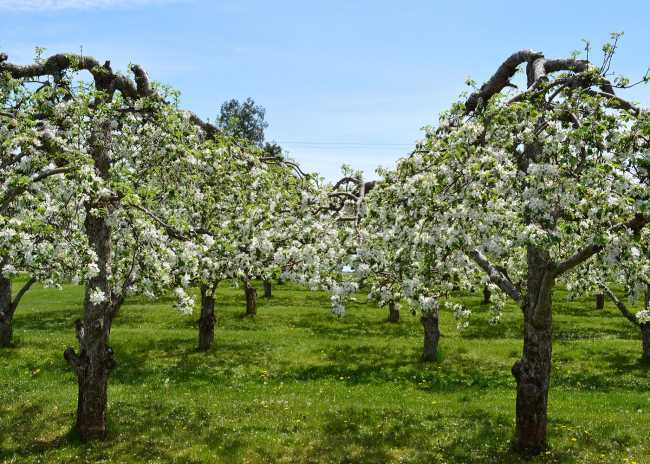 These ciders come in a variety of flavours that you can’t miss out on, so head over to Norfolk County to check them out. From Ontario grown hops to rich smelling lavender, these stops make for a Norfolk County tour that you won’t want to miss!